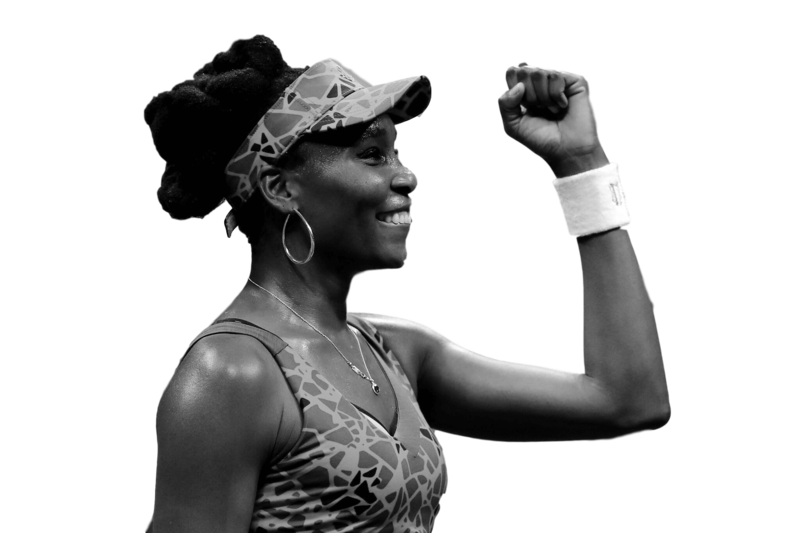 Venus Williams has parlayed her competitive spirit into becoming one of the most accomplished and inspiring women in the history of sports. Currently ranked as the fifth best female tennis player in the world by WTA, Venus has built her legendary status on 4 Olympic gold medals, 5 Wimbledon titles, 2 US Open victories, 1 WTA Finals title, and 14 Grand Slam doubles titles. Venus is capable of getting back even the most powerful serves, and she can do so from either side of the court. A high percentage of her returns bounce inside the court, frequently producing winners, which puts her opponents under extra pressure. Venus does not know the meaning of the word ‘conservative’, she sets out to win matches from the offset, as demonstrated by her bold and hard-fighting disposition. She loves to finish points off with her effective swing volley, which has worked so well for her throughout her career. Venus has experienced all circumstances imaginable and she knows how to analyse points better than anybody, overcoming moments of adversity and anticipating dangerous moments in the match.